If you’ve ever run a contest on social media, you know how powerful they can be. For early stage profiles that are just starting out, a contest can offer a leg up to build an initial following. For large and established accounts that want an extra boost, contests can provide an enormous surge of participation and interest. But the game in social media is always changing, so if your contests are going to continue to be effective, they’ll also need to change. Value: Because you’re offering a prize, your post instantly becomes more appealing than most other content on social media. People see real stakes and real benefits to engaging. Circulation: People also like to share contest opportunities, which makes contests ideal for promoting viral content and earning new shares with untouched audiences. Participation: Contests give you a method to demand user participation, and interactivity is always valuable in a social media context. To make these reasons work for you and build your value, you might have to adapt some of the tactics you may have used until now. Offer more experiential prizes: Tangible, immediate prizes–such as gift cards or a free iPad–can be attractive, but if you want to stand out in the future, think about offering more experience-based prizes. For example, you could offer a trip to go parasailing or a romantic dinner at a fancy spot in your area. Not only does this give your demographic groups a more appealing prize to win, it also increases the opportunity that they’ll share the experience on social media when they encounter it, and that will increase your visibility even further. Make things more interactive: Contests are already naturally interactive. Most require some sort of participation just to enter, such as the submission of created content, a like or a comment. The drawback here is that lightly interactive contests don’t force users to engage much–a single like isn’t going to stick out in a user’s memory. Instead, try to make your contests more interactive: They should demand more intensity of your users (and in exchange, offer a correspondingly better prize). The more effort a contest entails, the more significance it’s going to carry. Keep visitors “in the moment”: Social media users love to be in the moment. They don’t want old, recycled posts you scheduled in advance; they want to see what’s happening right here, right now. 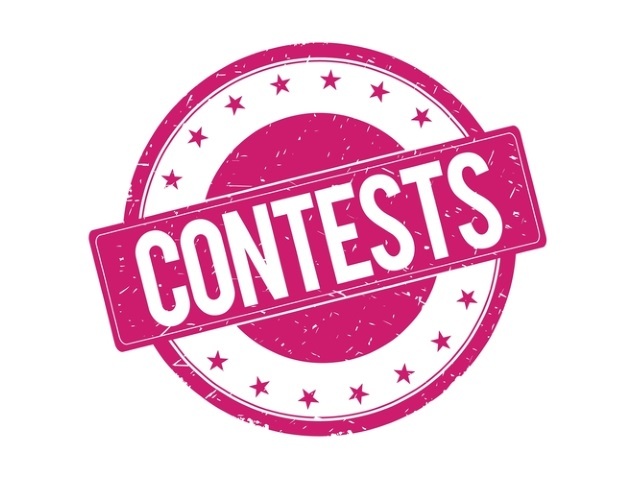 You can use your contests to keep them in the moment by producing and sharing images or videos of what’s happening in your business as it’s happening, or by encouraging your users to post more in-the-moment content as a method of participating. Differentiate yourself: More than 88 percent of businesses are currently on social media, and you can bet that a healthy portion of them have used contests or plan to use them in the future. That’s a lot of competition and a lot of contests that will themselves be competing for user attention. If you want to stand out from the white noise, you need to differentiate yourself. Offer unique prizes, devise unusual contest rules and employ striking imagery to make a statement. Use live video: Live video is an up-and-coming trend in the social media arena because users are expecting more in-the-moment content and video has become easier to stream and broadcast. If you can incorporate live video into your contest–to go over the rules during the first day’s launch or to encourage users to participate through live video submissions–you’ll increase your popularity substantially. Experiment with new platforms and mediums: Users of all demographics are drawn to new platforms, new mediums and the latest trends in social media. If you hope to stand a chance of beating your competition, you’ll need to be on the cutting edge. Don’t be afraid to experiment with new platforms and new mediums; if it works, you’ll be rewarded greatly, but if it doesn’t, you’ll mainly be out a bit of time. Work with social influencers: Influencer marketing is a separate strategy from running social media contests, but if you use influencers to promote your contests, this could double your effectiveness. There are many possible ways to do this, so get creative. For example, you could offer dinner with an influencer as a prize (assuming that the influencer’s willing to participate) or, if you’re on good terms, you can ask the influencer to share your contest with his or her followers. The extra boost here could make a significant difference in this hyper-competitive age. With such tactics in play, your contests will be seen by more people, shared more frequently and attract far more participation than before. Although organic visibility has been declining on many social media platforms, contests remain a pivotal way to earn shares, impressions and engagements, so it’s still a good idea to invest in them. The more time and effort you put into your contests, the more your users will reward you.